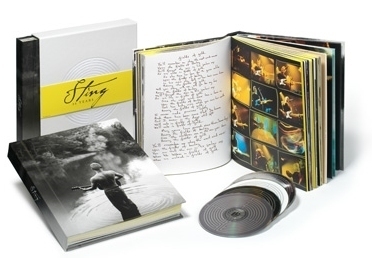 Only 5 days left and today, we're excited to premiere Sting: The Solo Years! 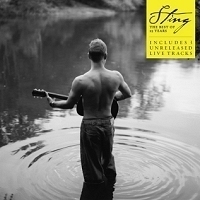 In this hour-long radio special, hosted by acclaimed music journalist Anthony DeCurtis, Sting reflects on his enduring 25-year solo career and offers commentary and insights on each of his solo albums. This previously unreleased program also includes audio tracks spanning his entire solo catalogue. Launch the Sting.com Jukebox to listen! For more information on the 'Sting.com 25 Days Countdown', please click here. That is how all of this 25 years stuff has made me feel. Reflective and festive :) Enjoyed this ! This was very interesting. I liked the new version/remix of Never Coming Home very much. I think it is even better than the version on Sacred Love album, which is very good also. Re: the hour - it's in multiple parts. Maybe radio stations have 42 minutes of commercial time added between the good stuff? This is great. Brings to mind his sit downs with Timothy White although without the direct interaction of Timothy and Sting in the discussion.